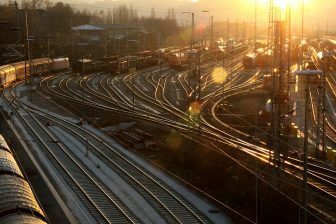 The freight division of railway company ÖBB Rail Cargo Group (RCG) will commence with two new rail freight services from the Italian port of Trieste to various destinations in Austria. This was revealed at the 300th anniversary of Trieste Freeport on 18 March 2019. From this month, RCG offers one round trip per week between Wolfurt and Trieste. Another weekly triangular service will be offered from April between Trieste, Vienna, Linz and Trieste. In the coming years, RCG will continue to strive for further intensive networking in the port of Trieste, the company commented. During the celebration of the anniversary two Memorandi of Understanding (MoU) were signed to strengthen the network. 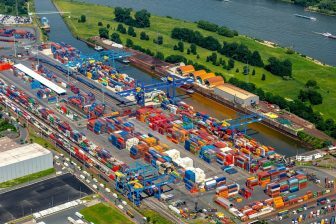 In the area of freight transport, a commitment to develop new transport routes and discuss the future of freight transport was made. Furthermore, the attendees committed to cooperate on infrastructure issues together with Italian infrastructure manager RFI. 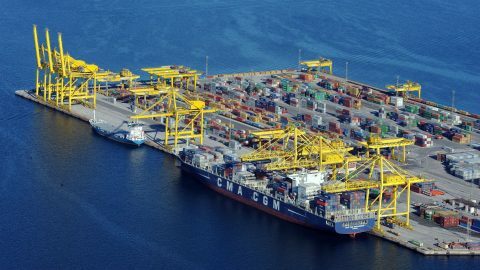 The Free Port of Trieste is a central logistics hub for the economy of Italy and Austria – as well as for the entire Central and Southern European region. It also serves as an important gateway to the Maritime Silk Road, ÖBB noted. “As an integrated partner with a strong rail network, we want to further boost rail freight transport and thus guarantee economical and environmentally friendly transport. We are sure that together with our Italian partners we will continue to succeed in this in the future”, noted Andreas Matthä, CEO of ÖBB-Holding AG. The Port of Trieste is considered the most important hub on the Adriatic coast. It plays an important role for transports to the Far East. 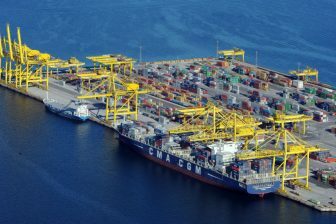 Trieste was once again Italy’s strongest port last year, with 62.7 million tonnes of goods or 10,000 trains handled at the hub. A growth of 10 per cent is expected for 2019. The port has invested massively in expansion in recent years. Trieste has also become one of the main ports for Austria. For ÖBB, Trieste has been an important port for transport to and from Austria and the hinterland of Europe for almost 25 years. With a market share of around 45 per cent in the rail sector, RCG is a market leader. “Trieste is a role model for the efficient interconnection of different modes of transport. Ship and rail are linked here to form an optimal transport chain. We are very proud that RCG is a strong logistics partner in the Free Port of Trieste,” said Matthä.